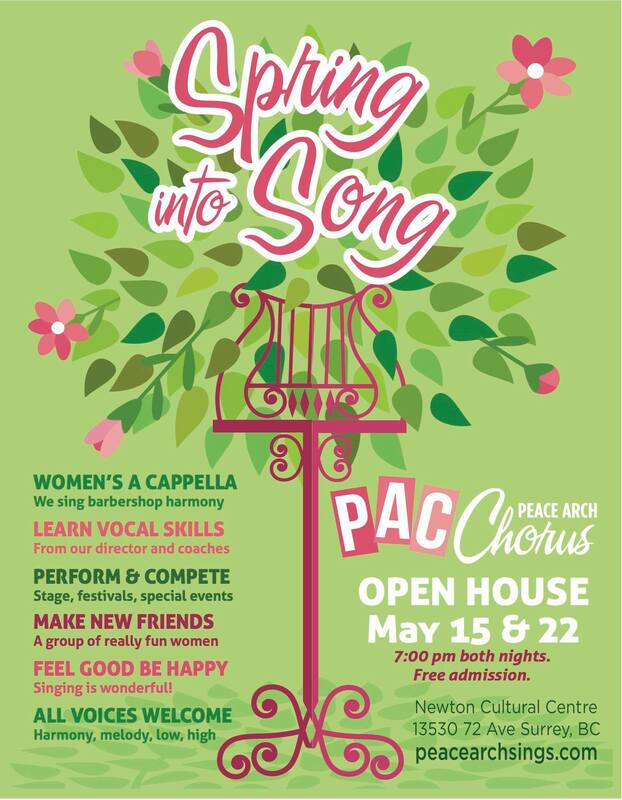 Join us for a night of fun, and see if Peace Arch Chorus is the place for you! Do you love to sing? Then it probably is! This is the first night of two we're offering as "membership night" - you're welcome to attend one, or both. Or, if neither dates work for you, please contact us about attending a regular rehearsal! You will receive a free voice placement if you'd like one, and have a chance to sing with us on the risers. There's no better way to find out if a chorus is the right fit than to jump in with both feet and try it out!